I woke up this morning to see 45 emails via Facebook. Looks like I started spamming my friends’ walls with messages like ‘How to make $6000 with hot colon?’. Luckily, I have friends who know me better than to post such nonsense in their walls and they said so. Finally, the Facebook team had sensed the ruse and suspended my account. So, when I tried to login this morning I was asked my security questions and it let me change my password. 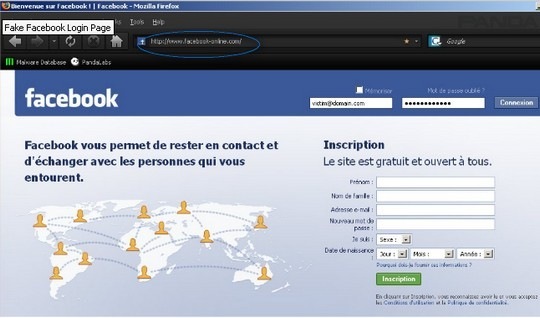 Pandalabs reports that there is a phishing scam in the wild that is stealing Facebook passwords. if you land in the fake Facebook page and enter your login credentials, your info is stolen and you will be redirected to the real Facebook login page. I was working on a website last night full steam and must have tried to login to one of these fake login pages without skipping a beat. Silly me. Yes, secure browsers and anti-phishing efforts work after the scam has been reported. But, nothing can replace personal vigilance when it comes to surfing the web. I did leave my guard down last night. I am so glad that the Facebook team suspended my account while I was sleeping. 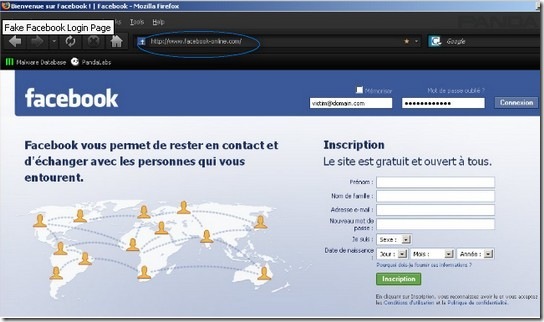 How to Avoid Facebook Phishing Attacks? Be extra aware of weird Wall posts. Don’t click on any links—on a Wall or elsewhere—if you don’t know where they go. Reset your password on your Account page. Report the issue to Facebook here. Submit phishing sites here and here. I thought my Gmail was hacked last week but it turned out to be a Gmail bug that was marking my messages as read when I didn’t open them. Plus, I have written several articles on how to detect Paypal phishing attacks. The above advice holds true for Internet use in general and more so for financial websites like your bank account, credit card accounts, etc.